Saxophonist Virginia Genta and drummer David Vanzan make up Italy’s Jooklo Duo. Their latest release is a 7″ vinyl single called The Warrior (Northern Spy Records, 2011). In this interview, Genta and Vanzan talk about how they met and why they jumped right into the world of free improvisation; the varied experiences they’ve had touring the world; and their DIY, vinyl-only aesthetic. Learn more at jooklo.altervista.org. 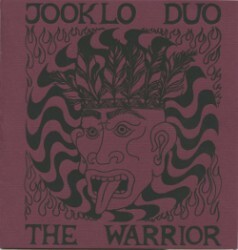 TOUR NOTE: Jooklo Duo is now touring the United States. Tour dates are here: http://jooklo.altervista.org/CONCERTI.htm.